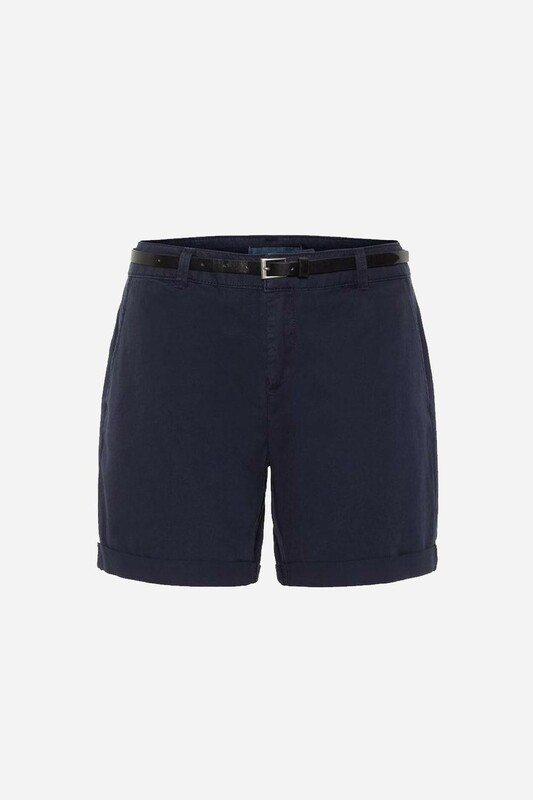 These navy chino shorts are simple and smart. Featuring cotton material, two side pockets and faux back-pocket detail. Style with anything from t-shirts to blouses.